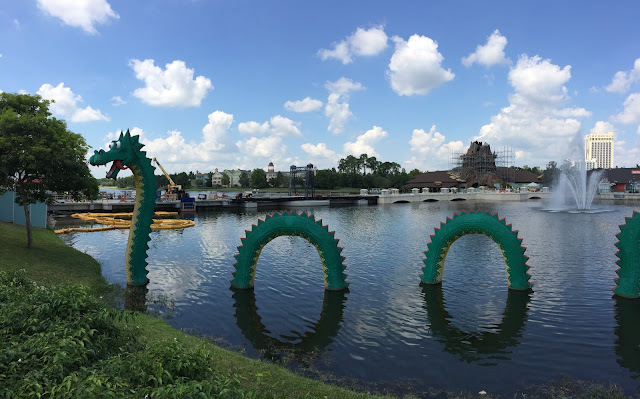 This Lego dragon has been a fixture at Downtown Disney for many years. However, the landscape behind it is changing rapidly. You can see the bridge under construction that will provide an alternate route from one end of the Marketplace to the other. This is part of the new Disney Springs makeover that is taking place.